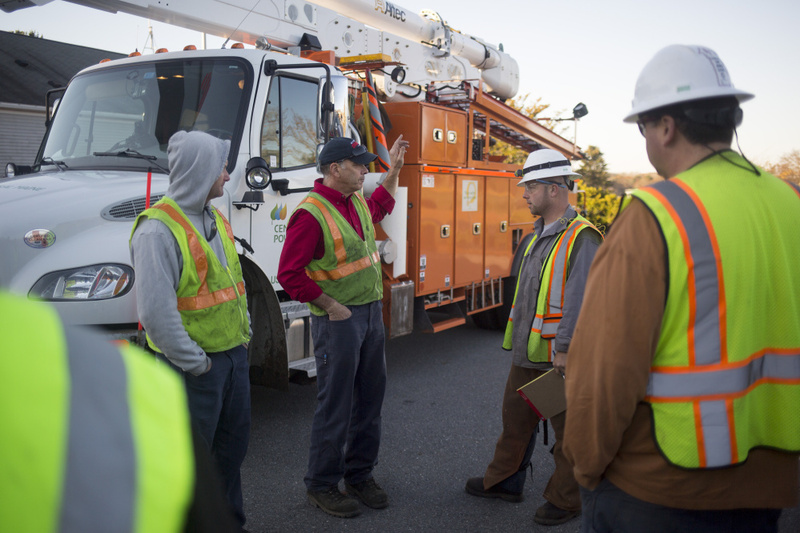 Preparations to respond to Maine's largest outage take place at regional service centers and include a huge expansion of crews put to work. 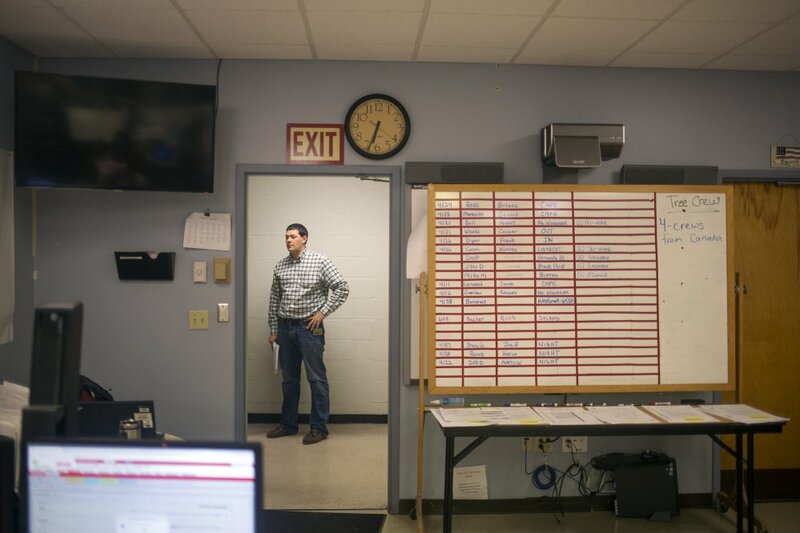 There was a sense of calm before dawn Tuesday, an underlying quiet inside Central Maine Power’s Portland service center. It seemed out of sync with what might be expected on Day Two of the largest power outage in Maine’s history. No scurrying around. No giant wall map of down circuits. No mission control-like rows of workers at computers shouting into phones. Nearly two-thirds of Maine was without power Monday morning, after a wind and rainstorm caused widespread damage to trees and utility lines. 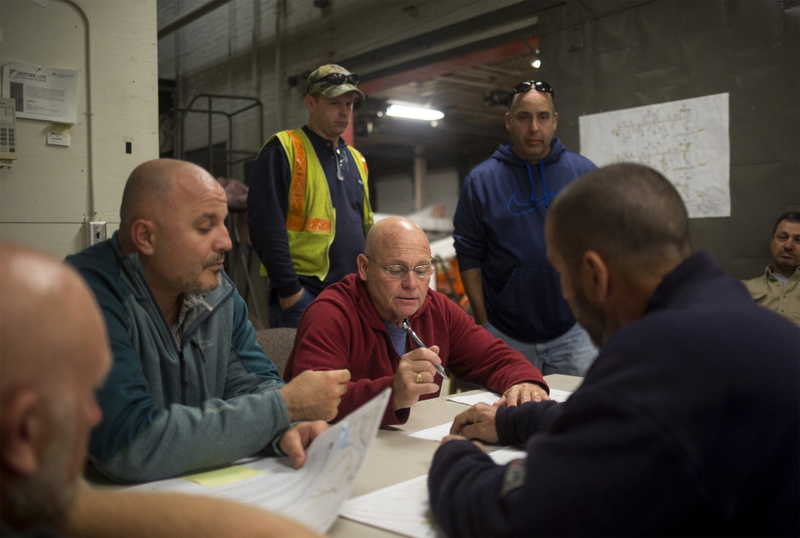 The preparations to efficiently manage a workforce expected to grow to nearly 2,000 and restore electric service from Kittery to Bucksport and north to Dover-Foxcroft as quickly and safely as possible are subtle, complex, diverse. 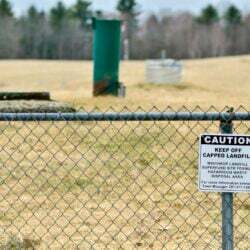 This decentralized strategy allowed CMP to whittle the number of its customers without power from a peak of 404,000 at midday Monday to about 242,000 as of 9 p.m. Tuesday. As many Portland-area customers made do in the dark Monday night, plans were being made that put 150 lunches and drinks in boxes in the CMP cafeteria, for workers to grab before they began their 17-hour shifts. Calls went out to secure motel rooms and restaurant meals for crews arriving from eastern Canada and the Midwest. Tanker trucks were delivering diesel fuel overnight to bucket trucks parked in those motel parking lots, so they don’t waste time at gas stations. A coordinating system called the North Atlantic Mutual Assistance Group, which covers states from Maine to Ohio, was matching up available resources, sending crews to where they were requested and needed most. 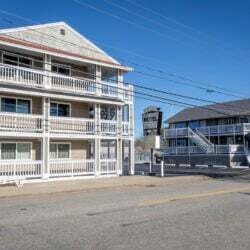 No one can say what it will cost to get the last home back online, but CMP records the expenses for regulatory review, and barring state or federal assistance, ratepayers eventually will pick up the multimillion-dollar tab. By 5:30 a.m., Tuesday’s game plan for the Portland service center was in place. Across the service territory, similar plans were nailed down at CMP’s 10 other service centers. As the extent of the damage became clearer, CMP was ramping up the number of line crews from 200 on Monday to 450 on Tuesday, and the number of tree-trimming crews from 100 to 250. 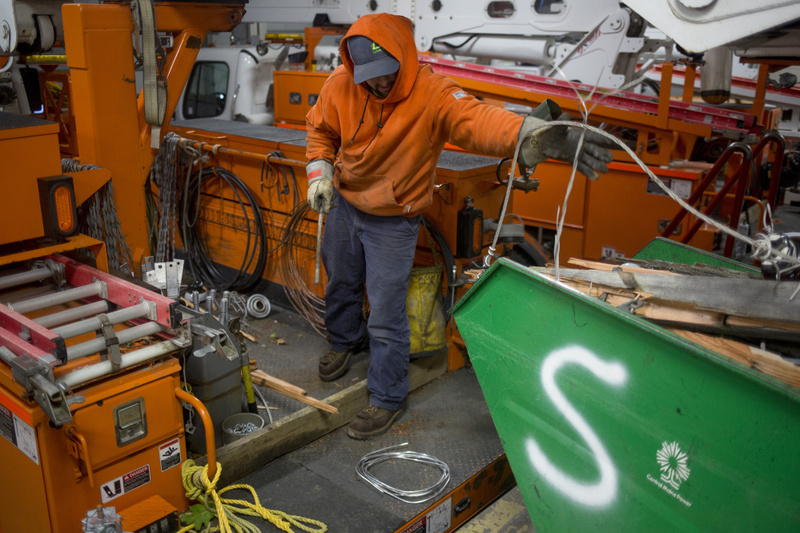 That didn’t include a so-far untallied number of digging crews to set new poles, crews associated with substation and transmission repair, and safety and assessment teams. 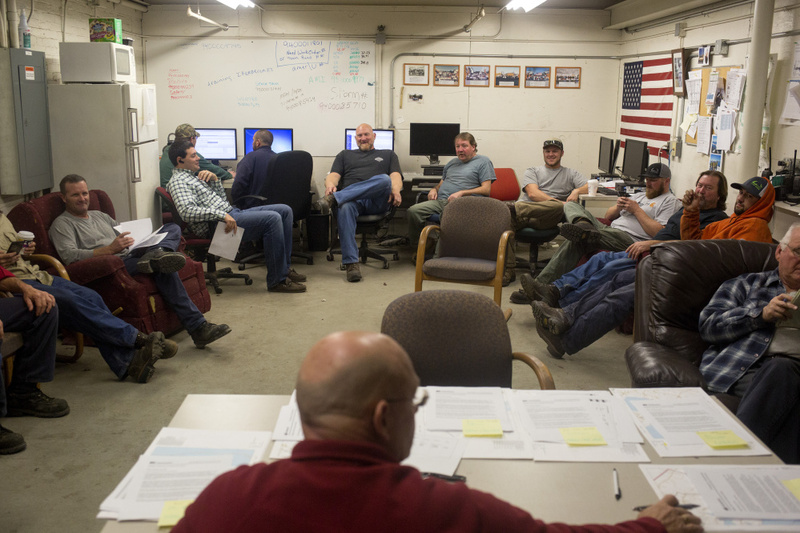 At 5:30, Lloyd Hendrix had assembled his supervisors to go over the day’s assignments. The Portland service center manager, Hendrix gave them a goal for the day, for the 58,000 customers waking up to cold homes or idled businesses from Pownal to Buxton and Standish. “I’d like to see that cut in half,” he said. Hendrix planned to do it with a total of 93 crews on Tuesday, a number expected to grow to 150 in the next couple of days. In the supervisors’ office, Hendrix has a team of experts with deep knowledge of the service area – of the geography, circuits and critical choke points on the distribution system – acquired over years with the company. 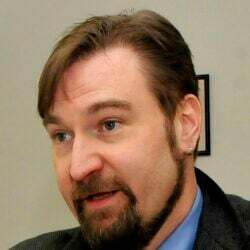 Scott Murray has been with CMP for 35 years. He’s the substation supervisor. He was compiling the list of broken poles. He counted 48 at 6:15 a.m., but expected more as the day went on. In the field, crews with iPads were recording the pole number, which instantly brought up the location and details, such as streetlights or transformers. “I’ve never had this many poles,” he said of the damage, which totaled 250 systemwide Monday. James Casterella, the meter supervisor, is the contact for all the public works and public safety officials in the service area. They call about which roads are blocked by trees and what needs to be opened first to get to down lines. “We get a sense of their top priorities,” he said. Jason Ward, a line supervisor, sat at a computer screen with a mapping program that showed him all the outages in real time. It can show how many customers are on each circuit, so Ward and the other supervisors can decide how to make the most impact with every crew in the field. Ward zoomed in on an area on the Portland-Falmouth line that has 2,261 customers. 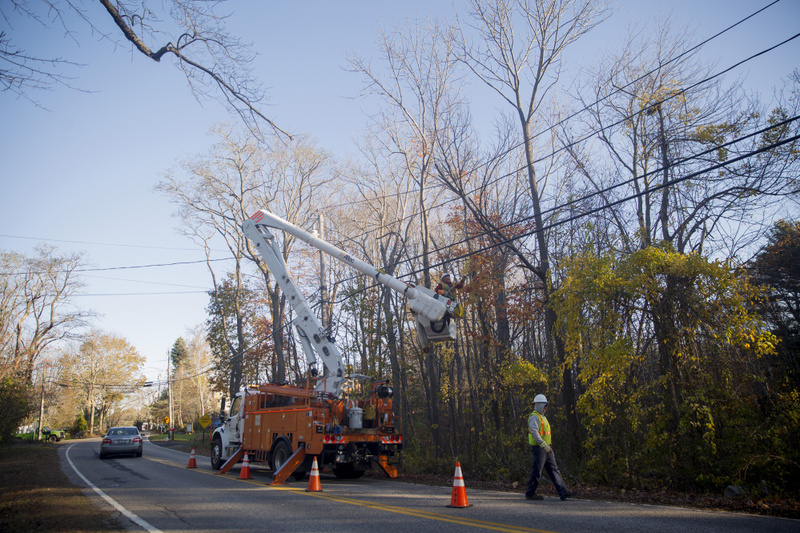 Tuesday’s goal was to bring higher-voltage service back, in preparation for restoring homes Wednesday. Erica Brillant, the logistics supervisor, was working with a spreadsheet that showed everyone who was working, where they were and what they needed. She’s in charge of setting up hotels and restaurants for out-of-town crews. She’ll find a room for Trevor Norrad and a co-worker, linemen from a private electric company who drove down Monday from New Brunswick. They’ve worked for CMP before on outages. Also in town was Alfonso Rebolleda, the director of system operations for Avangrid, CMP’s parent company in Connecticut. Rebolleda is from Spain, but he’s fluent in French. That’s handy, because he’ll spend the day supervising French-speaking line crews from Quebec. By 6:50 a.m., the sky is brightening. 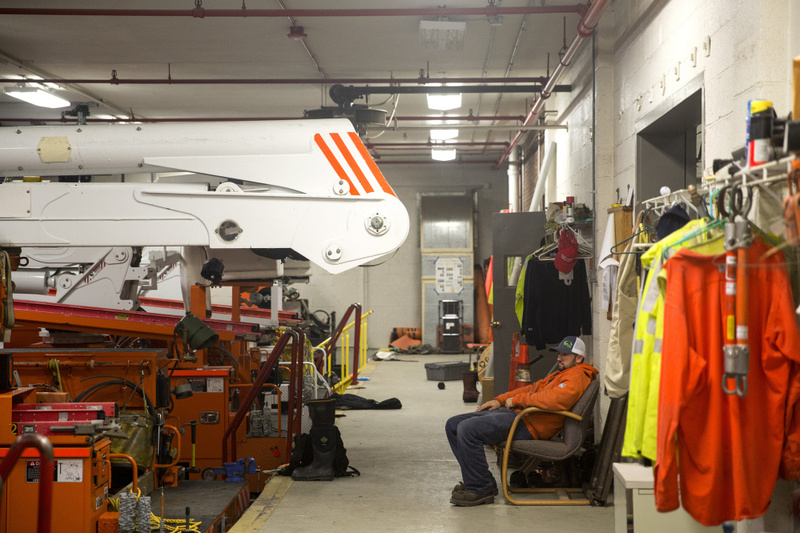 A couple dozen line workers, tree crews and supervisors were gathering in a small room near a loading dock to go over final instructions and work packets. A work packet for Windham, for instance, showed customer calls, addresses and problems on Anglers Road. No power. Tree down. Service cable pulled from house. A map of the circuits, near Little Sebago Lake, was printed in the work packet. One by one, trucks are loaded and then they are on the road. One of them met up at 8:20 a.m. with crews from Cape Elizabeth’s public works department and Lucas Tree Experts at a supermarket parking lot in the town center. Ninety five percent of the town was without power, and at least 15 poles were down. 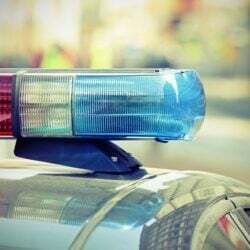 The group was setting priorities, including opening stretches of Route 77 and Mitchell Road blocked by trees. On Mitchell Road, a CMP line crew already was at work. A tree had fallen across the top wire. That tripped the reclosers, or circuit breakers, knocking out power to homes in the areas. A worker in a bucket carefully trimmed away the branch with a power saw. Then the crew would re-energize the line, a process that will be repeated thousands of times this week across much of Maine.